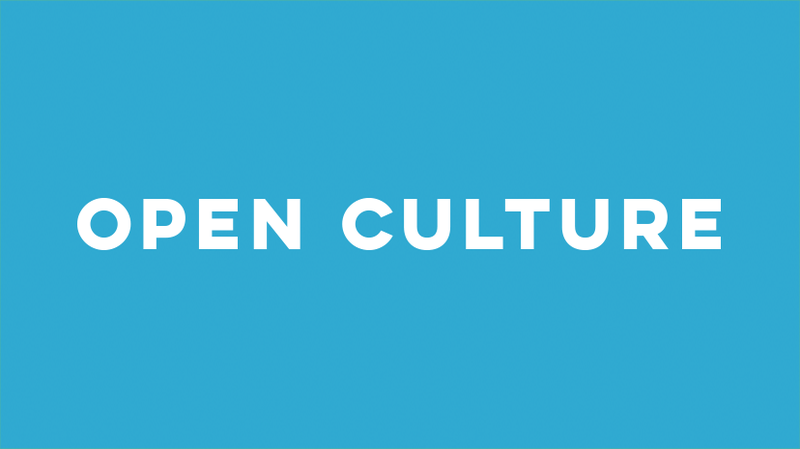 Who is Behind Open Culture? Dan Colman has been in the continuing education field for 20 years. You can reach Dan at mail@openculture.com. Colin Marshall hosts and produces Notebook on Cities and Culture and writes for Open Culture regularly. Josh Jones received his PhD in English at Fordham University and is a co-founder and former managing editor of Guernica / A Magazine of Arts and Politics. Mike Springer, a journalist living in Cambridge, Massachusetts, writes daily for Open Culture. Ayun Halliday is a writer and actor. She is best known as the author and illustrator of the long-running zine The East Village Inky. Eric Oberle provides very generous technical support for the site. Without him, you would be getting 404s instead of regular doses of intelligent media. Is the Site Affiliated with Stanford University? This site is not associated with Stanford. The ideas/views expressed here belong to Dan, or others. But, in all cases, they are private ones. How Can I Contact Open Culture? Can I Advertise on Open Culture? Yes. You can immediately place ads on Open Culture by using Google's Adwords platform. This will give you the ability to target the whole site or specific pages. Find directions on how to target our site here. Yes, read all about it here. Can I Recommend Materials to List on Open Culture? Yes. If you would like us to add links to relevant parts of our site, you can suggest materials/links via email and we will be happy to review them. Please read over our editorial guidelines and then let us know where you think your material should be listed, and try to provide all of the information that will help us list your material. For example, if you want us to include a link in one of our podcast directories, please look at the appropriate directory and include all of the information that we typically include in our entries. Do The Courses Featured Here Give University Credit? First and foremost, the MOOCs/Online courses appearing on this page sometimes offer students "statements of accomplishment" or "certificates of completion" if they successfully complete a given course. However, most traditional universities won't give students credit for taking theses online courses, and students typically can't use these courses as a way to satisfy requirements for a degree. It's conceivable that some schools will give credit for these classes, but you would really need to check with the registar's office at your institution. Second, we should point out (in case it's not clear) that Open Culture is not the builder/creator of these courses. Our site simply highlights MOOCs/Online Courses created by other educational ventures. You can get more information by reading our MOOC FAQ.